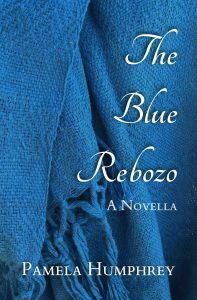 “The Blue Rebozo is a touching and tender story of the struggles and joys of several family generations told through the story of Petra, the main character. The Blue Rebozo embodied the love that runs through the story of these generations as it is passed from one generation to the other, from mother to daughter. 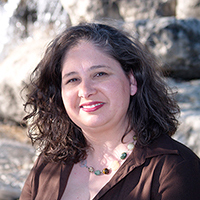 The rebozo brought warmth and comfort as well as a sense of connectedness and gratitude from one generation to the next. An important thread running through this novella is that of story telling of the family history. Through story telling especially by the elders, one generation tells the story to the next and keeps memory alive and generations connected. The story of tender moments and love between parents, the love and dedication to family togetherness and survival runs through the stories and generations. Yet, the realities of poor and hard working share-croppers facing the painful loss of infants and children as well as tragic death of adults, is not overlooked or forgotten. On the contrary, the human story of struggle, love, and hope is powerfully told and enriches the reader.